The brake drum is pretty much the same as a brake disc. When someone puts their foot on the brake pedal in their car, the brake shoes press up against a surface that is spinning quickly. This spinning surface is the brake drum and they are usually located on the rear wheels of a vehicle. The brake discs are what you will find on the front wheels. Even though the drums and discs are similar in their functionality, the drums have more parts to them than the discs do. This makes the drums harder to service despite costing less to manufacture. But the reason why brake drums are important is because they are the most effective way to stop a car when it is moving. 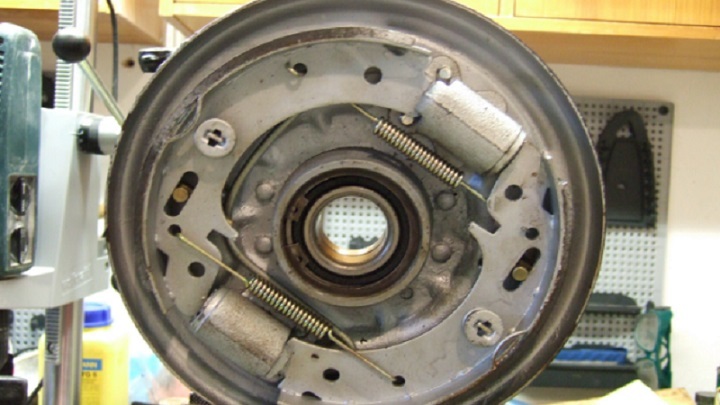 A brake drum has six parts inside of it which helps make it function properly. It has an adjuster mechanism, brake shoes, emergency brake mechanism, pistons, brake cylinder, and cable. In order for the drums to function right, the brake shoes need to stay close to the drum without touching it. If they end up separating from each other too much then the piston will need more push to go the distance. Then the car’s brake pedal will sink lower to the floor mat after you step on it. This separation between the drums and shoes normally happens if the shoes are too worn down. Fortunately, most new cars have an automatic adjuster attached to the drums in order to prevent this separation from happening. The emergency brake mechanism is attached to an emergency brake lever, which is that lever you see next to your shift stick. Auto manufacturers recommend that you pull this lever up after you park your car in order to ensure it stays in place. The brake drums are what allow this to happen. But what you may not realize is the emergency brake does not run on the same power source as the main braking system. There is a cable attached from the emergency braking mechanism of the drum to the emergency braking lever. When you go to pull the lever, it pulls the cable attached to the drum which causes the two shoes to separate. It is important to regularly get maintenance checks on your vehicle’s brake drum shoes because they are what commonly cause brakes to malfunction in the first place. The longer you wait to have them serviced the more you risk the life of your brakes.